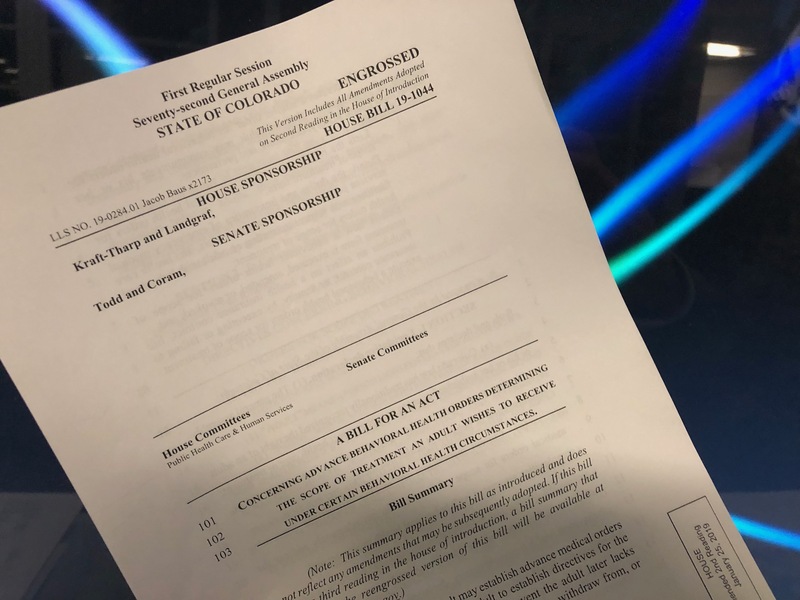 DENVER -- State lawmakers will vote Monday on a proposal that would allow mental health patients to specify the treatment they prefer and to designate someone else to make decisions on their behalf. "My third year in college, I got paranoid, returned to Denver and was diagnosed with bipolar disorder," he said. "The hardest part of my journey," he added, "was when I couldn't fall asleep for two consecutive nights. I was looking at my watch and every second was like an eternity." Silverman told Denver7 that a doctor at University Hospital recommended electro-convulsive therapy. He said, "it worked." But the next time Silverman had a psychotic episode, his doctor was out of the country on vacation. His insurance company told him to go to a different hospital. "It was a disaster," Silverman said. "I ended up spending 13 days in isolation." When asked what the 13 days in isolation were like, Silverman replied, "It was very traumatic. a very, very scary feeling of being alone." "What happened to Evan is heartbreaking," said Andrew Romanoff, president and CEO of Mental Health Colorado. "There are a lot of folks in similar circumstances who are not getting the treatment they need. It doesn't have to be that way." "It would be extremely useful," he said, "perhaps even life-saving, to be able to commit to paper, in a binding legal form, the course of treatment they want, when they (later) may not be in a position to make that decision." One of the bill's sponsors, Rep. Tracy Kraft-Tharp, D-Arvada/Westminster, said a "Behavioral Health Order" would make the patient an equal part of the team. "It makes him part of being very active in his own treatment," she said. "If a doctor feels there is a better course, or if somebody is violent, that takes precedence," she said. If the bill wins legislative approval, the Advanced Directives would become part of a patient's medical records, accessible by doctors and treatment facilities.